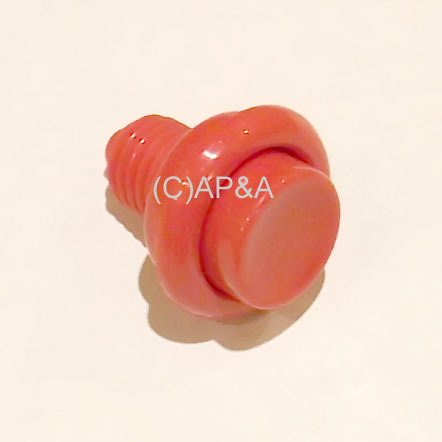 Red plastic pushbutton with threaded housing. Standard button measuring 15/16-inches deep, 5/8-inch thread length. Commonly used for flippers on most makes and models of pinball games from early 1980s and up. Replaces Bally/Williams # A-16883-4 & B-12273-4, Gottlieb/Premier # 26662R, Sega/Stern # 500-5026-32, and possible others.